For Sona Jobarteh, making music is part of a family tradition that’s etched into the very DNA of her being. 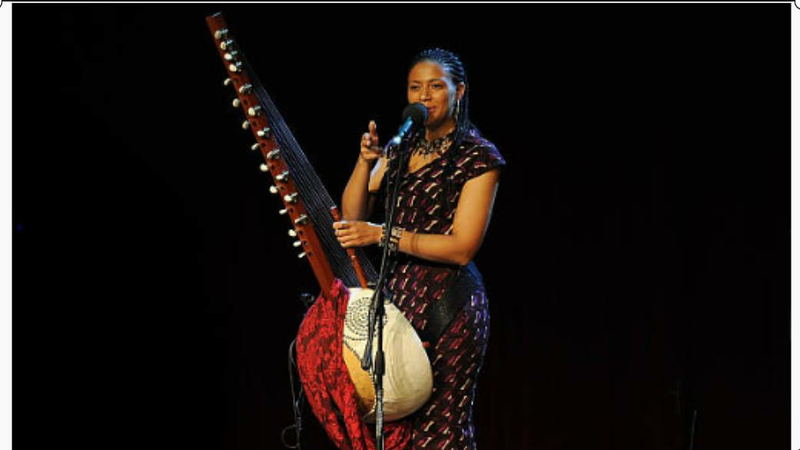 She is an acclaimed player of the kora, a West African instrument with 21 strings. The kora has been described as a “double-bridge harp-lute,” and it is a unique instrument indeed. Jobarteh was born and raised in Gambia, on the west coast of Africa. Her ethnic and cultural heritage is Manding, referring to a people who are concentrated in West Africa. Jobarteh and her group will perform Manding music several times during the North Carolina Folk Festival from Sept. 7-9 in downtown Greensboro. Kora players come from “griot” families, who serve as historians and storytellers in their communities and culture. Jobarteh was born into an esteemed griot clan, and she learned how to play kora in the traditional way that it is passed down among family members. What is less unconventional about Jobarteh’s mastery of the kora is that she’s a woman in what has been a male-dominated hereditary tradition dating back to antiquity. Jobarteh’s success and acceptance as a female kora player is a sign of changing times and attitudes. Her father (Sanjelly Jobarteh) and brother (Tunde Jegede), both renowned kora players, began teaching her the instrument when she was 4. One might think approaching an instrument with the complexity of a kora so young might be daunting, but Jobarteh recalls it as an age-appropriate apprenticeship. “From a young age you pick it up and are just learning the very basic parts of the instrument,” says Jobarteh. She is speaking by phone from London during a European tour. In a sense, kora players are not just making music but preserving and conveying history and heritage. They are very much speaking through the instrument. 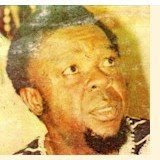 The central work in Jobarteh’s career thus far is an album entitled “Fayisa,” which means “heritage.” It was released in 2011. Before that, she wrote and recorded the soundtrack to the 2010 documentary “Motherland,” a historical overview of Africa. Jobarteh’s mesmerizing and evocative score for “Motherland” displays her remarkable gifts as a musician, singer, composer and “jali” (a Manding word that translates as “bard”). The atmospheric soundtrack might be described as a West African analogue to some of Enya’s most arresting Celtic music. More recently Jobarteh released a single, “Gambia,” and she has nearly completed her next album, which will be released early in 2019. However, Jobarteh will mostly be playing pieces from “Fayisa” at her Folk Festival appearances. In addition to Jobarteh on kora, her band includes a guitarist, bassist, drummer and percussionist. These instruments lie outside the Manding tradition, but Jobarteh feels they make the music more relatable to those unfamiliar with West African music. “It’s still very much identifiably West African and traditional, as well,” she adds. Jobarteh received her higher education in London, earning a degree in African Culture and Linguistics at SOAS (“School of Oriental and African Studies”) University. Building on the teaching aspect of her griot heritage, Jobarteh has founded Gambia’s first academy of music and culture. Slated to open next year, the Gambia Academy of Music and Culture is a product of Jobarteh’s determination and vision. She explains how the idea came to her. “This is where the seed started,” she continues. 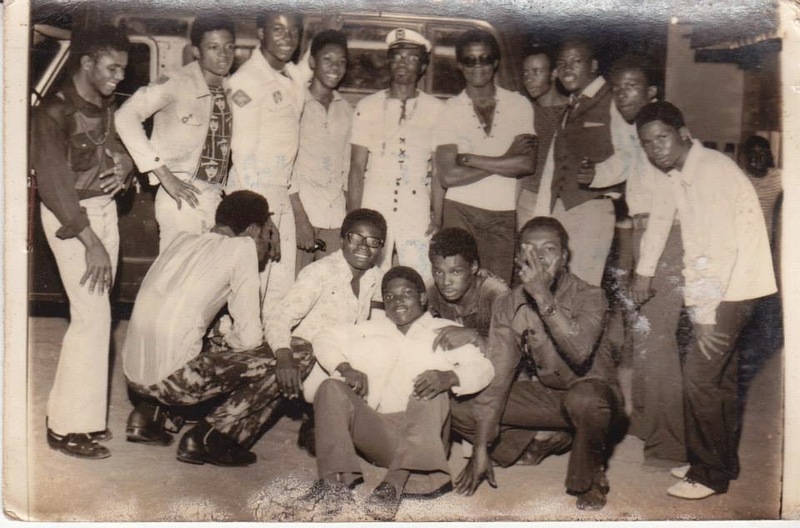 “I was lucky to be at a university that had resources in African history, art and music. But I found I didn’t like the disconnect that there are so many resources on African history in Europe and yet there are very few in Africa.